Psst! 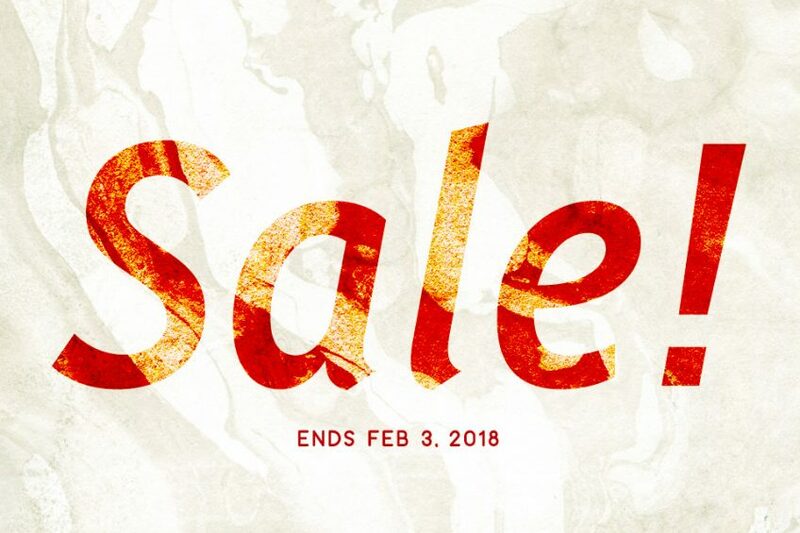 We are running a sale! Book our super awesome photo booth or Booth Bus before February 3, 2018 and receive an extra hour for free (worth $175)! If you are looking for something spectacular for your wedding or function, now is the time. 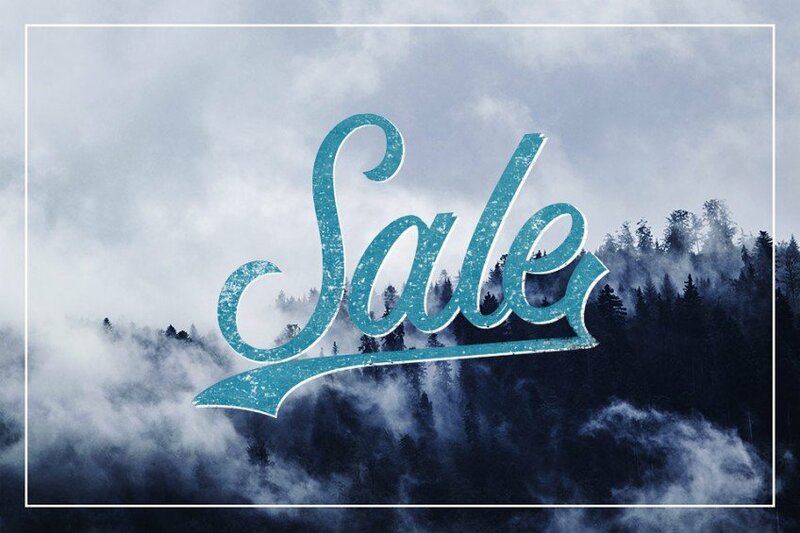 We only have this sale once a year so jump on this! 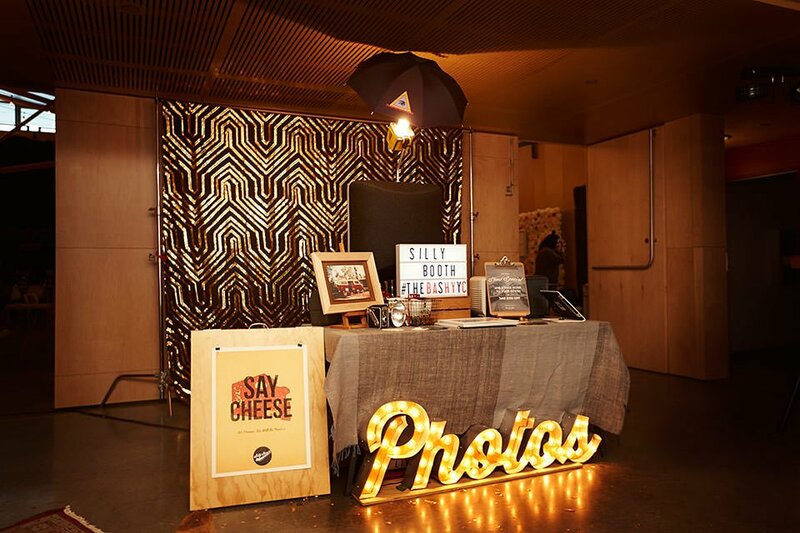 All our photo booth services include unlimited prints, social media sharing, Boomerang animated GIFs, your choice of backdrop and props! This offer cannot be combined with other deals. We are available for your event in Calgary, Vancouver, Banff, Lake Louise, Canmore and Whistler. Any questions? Email us! It’s a wrap! What a way to kick off the 2017 wedding season, working with some extremely talented wedding industry peeps to put on The Bash this past weekend! 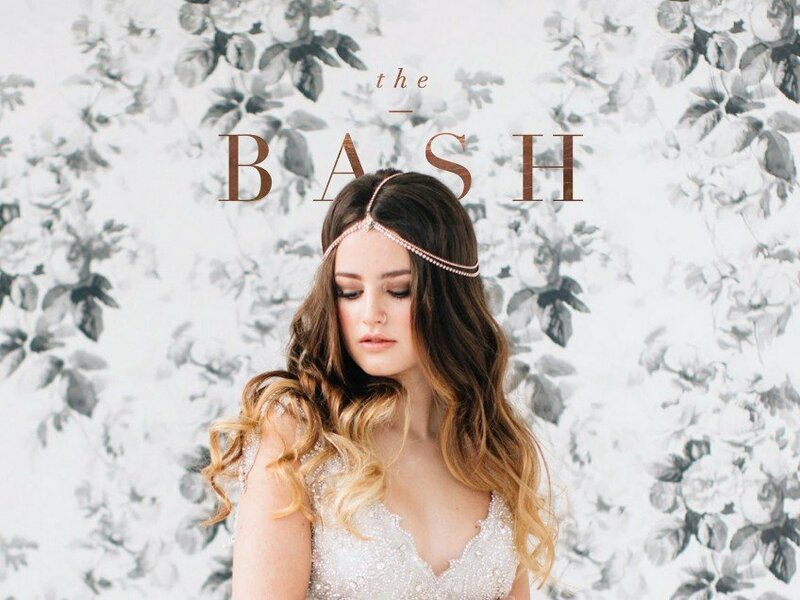 If you haven’t heard of this, The Bash is a very special wedding event in Calgary put up by our friends Shannon, Sarah and Natalie to showcase Calgary’s most innovative and trend setting wedding vendors. It was so much fun meeting everyone in person and reconnecting with old friends. 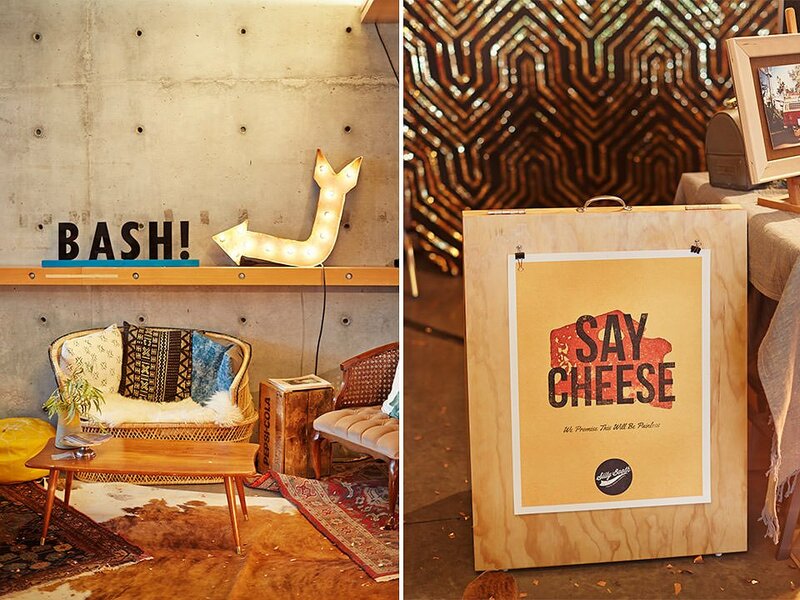 Thank you all for the laughs, inspiring conversations and hilarious photos in our photo booth! I am still recovering today but I can’t wait to be there again next year! 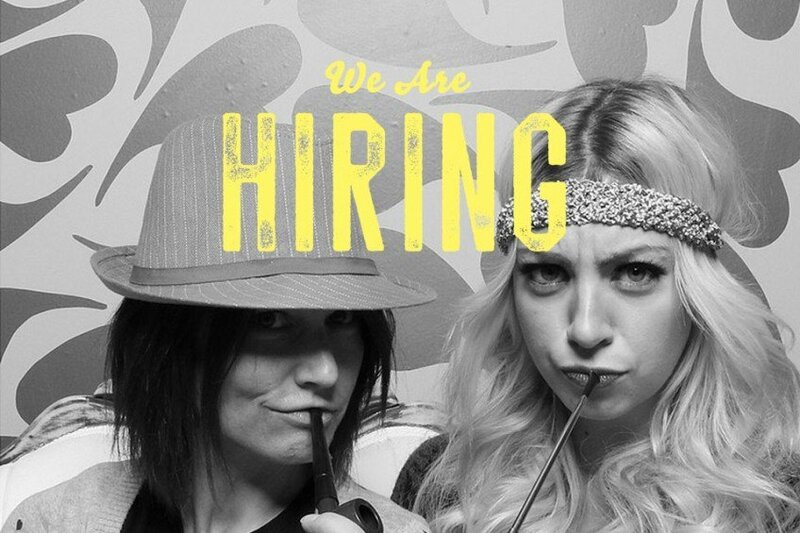 Book our super awesome photo booth or Booth Bus before the end of January 2017 and either receive an extra hour for free (worth $175) or take $150 off the price of the rental! If you are looking for something spectacular for your wedding or function, now is the time. We rarely have sales so don’t miss this! 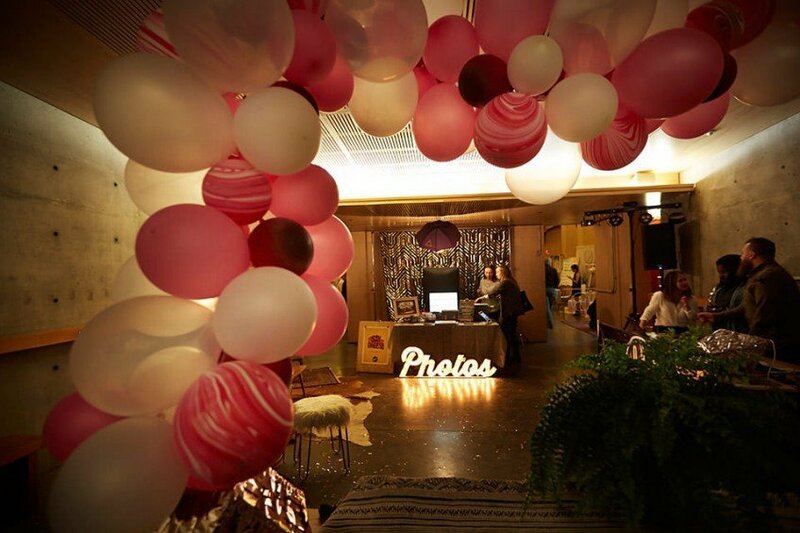 All our photo booth services include unlimited prints, social media sharing, animated GIFs, your choice of backdrop and props! Please tell us at the time of booking which offer you prefer. This offer cannot be combined with other deals. We are available for your wedding in Calgary, Vancouver, Banff, Lake Louise, Canmore and Whistler. Any questions? Email us! 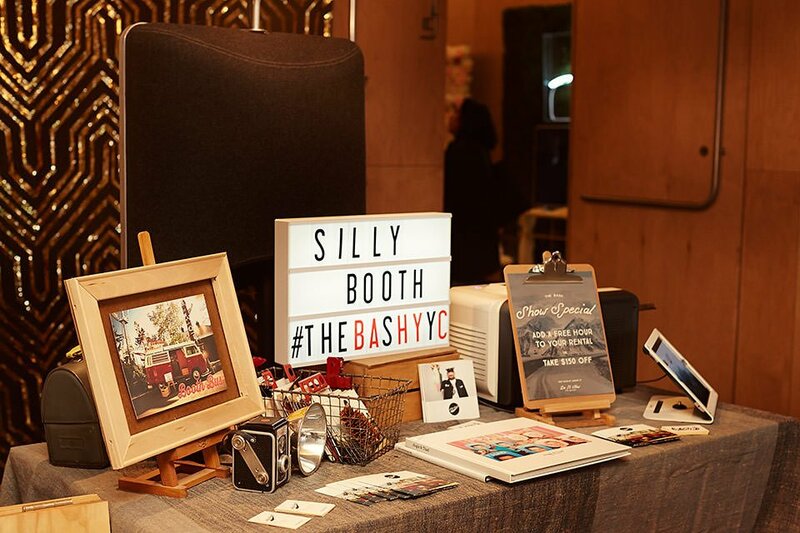 We are excited to announce that Silly Booth will be at The Bash again this year. 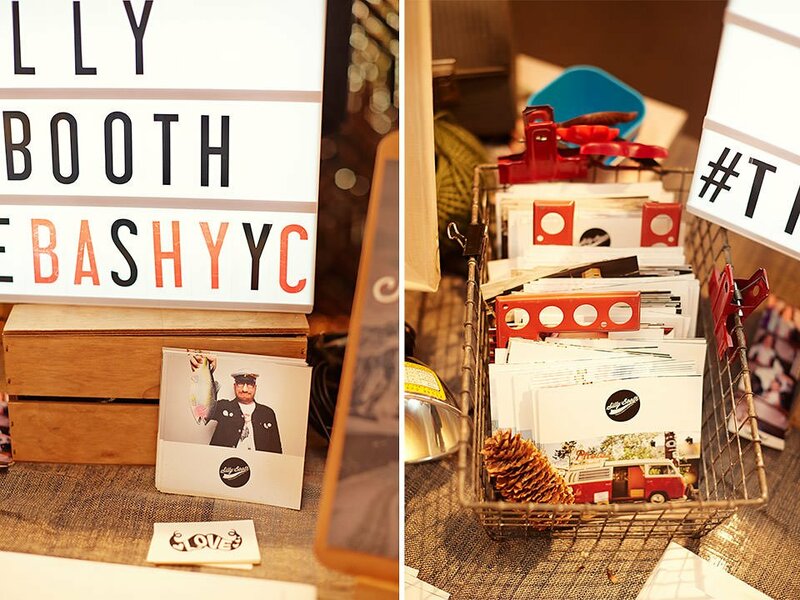 The Bash is a gathering Calgary’s most trend-setting and stylish wedding vendors in one place. 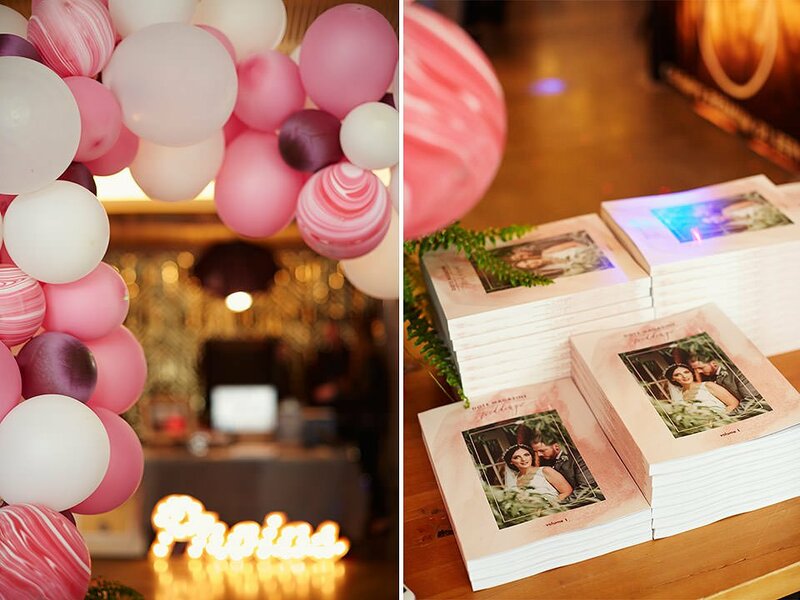 We all worked together to create a unique and inspiring wedding event like nothing else. The Bash runs from January 21-22. You can get your tickets at the following link. 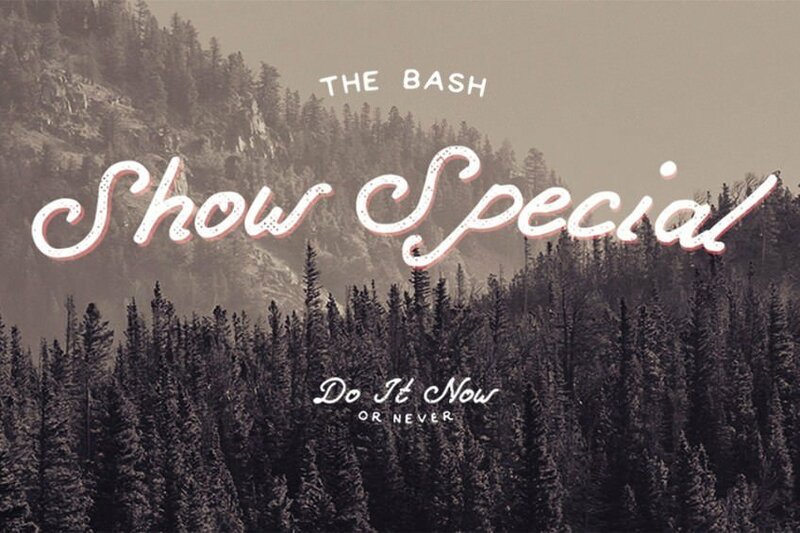 Find out more about the Bash and get your tickets at the link below. Hope to see you there! Merry Christmas, Happy Holidays and Ho! Ho! Ho! We are sad to see another year go by so quickly but definitely excited to see what 2017 holds for us! This year, we had the fortune of working with some incredible clients in Calgary and Vancouver. We took some pretty hilarious photos together! 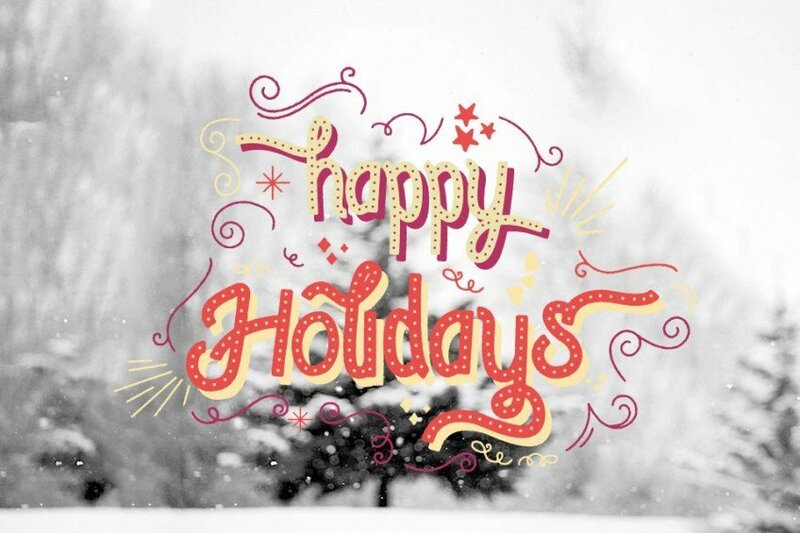 We hope everyone will get an opportunity to recharge and spend time with your family and loved ones. Thank you so much for being there with us and look forward to seeing you in 2017! Earlier this year, we made a small announcement about Booth Bus, a project we have been working on for the last two years. 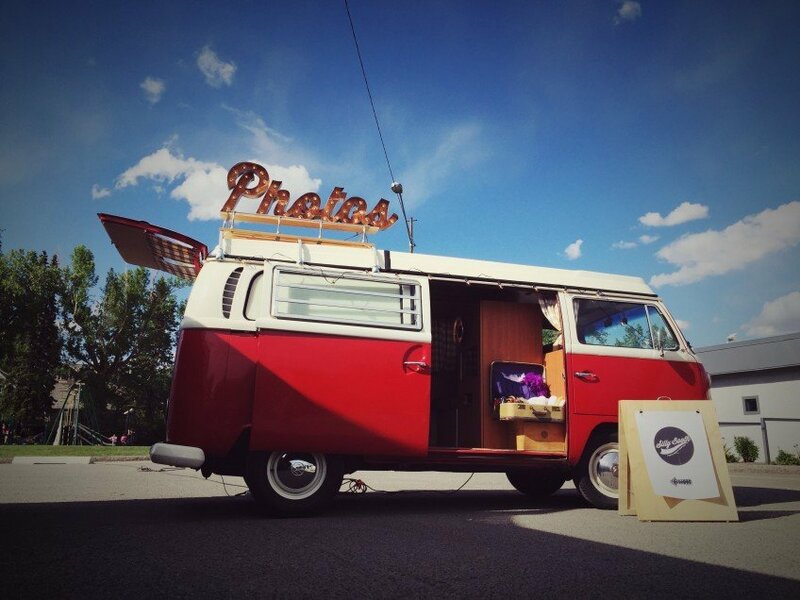 Booth Bus is the result of three things we love so much – cars, photography and food trucks. 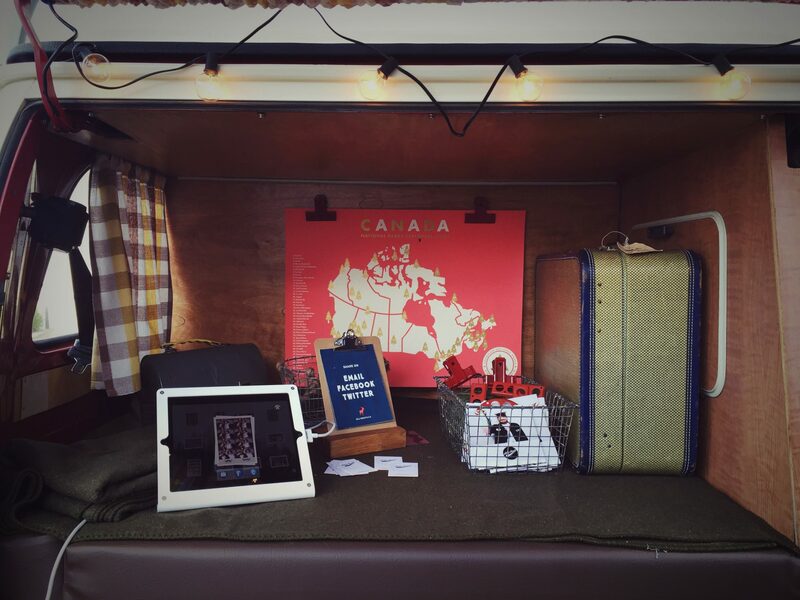 We thought it would be so nice to be able to install a photo booth in a vintage VW Bus and drive it around town, doing outdoor events. Well, here it is! 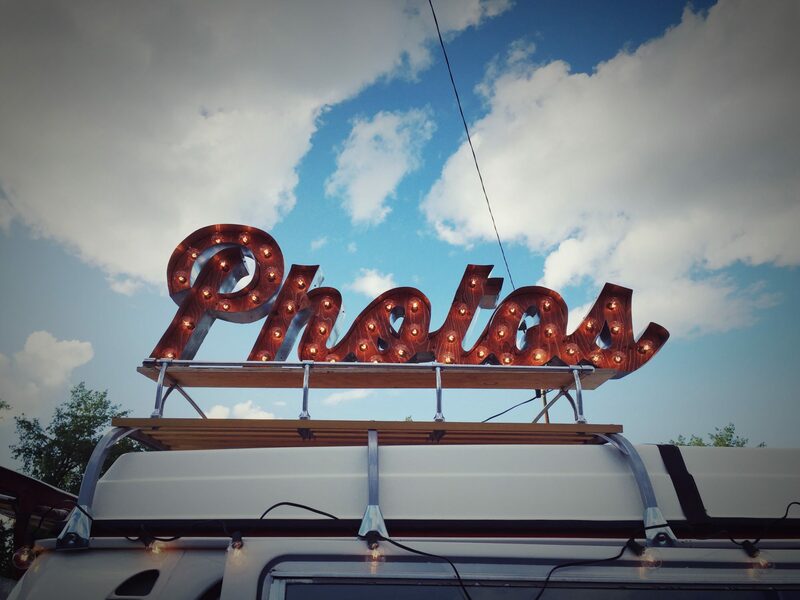 We are excited to tell everyone that we are now booking events for Booth Bus, our vintage VW photo bus. Booth Bus started life as a 1970 VW Westfalia Campmobile. There are plenty of other models to choose from but the Westfalia is the most famous and desirable of all of them. It had a full camper interior, bright windows all around and a roof that pops up. We are picky. It took us more than a year (and one expensive failed attempt) of scouring BC and Alberta before we were were able to find a bus that was good enough for us. Our goal was to find a vehicle that is safe and reliable to travel all around Calgary and area, to your events without the risk of breaking down before getting there (we hate being late for events). As soon as we found our bus, we immediately replaced every piece of the 46 year old interior with brand new oatmeal tweed fabric matched with brown vinyl. Every week, Wei would ignore client emails to work on the bus, making sure the things are just perfect. We installed a photo booth unit with a 20 inch touch screen computer and high speed printer. The social media station was located in the hatch. We even made a huge lighted marquee sign to put on the roof for our events to make things more festive. There’s even a generator to power the camera in case your event is in an area with no power. The whole process took about 6 months and now it’s totally awesome! 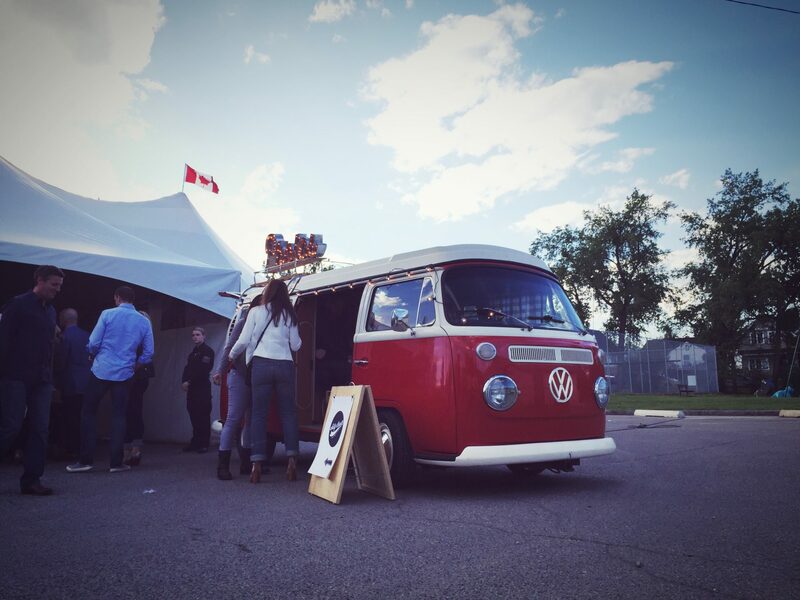 We did our first event a few weeks ago at Marda Loop’s Indulge 2016 event. It was a hit! Everyone had so much fun jumping into the vintage VW to snap photos. At one point, we had eight people crammed in there, body parts hanging out. It’s like a contest between different groups of people trying to figure out a way to fit as many bodies into it. Super hilarious! If you are looking to do something really different for your outdoor event, give us a shout and let us tell you more about Booth Bus! Silly Booth is volunteering at PALS this weekend for their Easter Pet Portrait event. 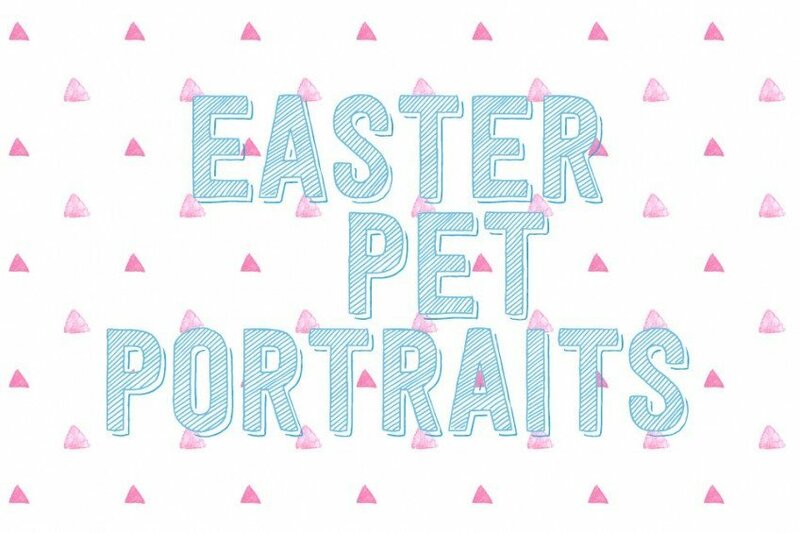 Come celebrate Easter with a photo of yourself and your furry companion. We will be taking photos at FarFetched Playcare & Grooming. 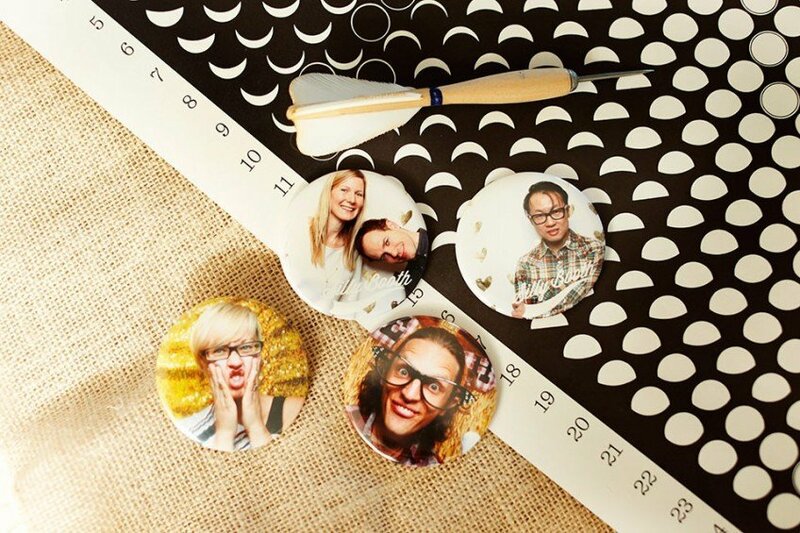 The cost is $25 and it includes a print of your choice and high resolution digital files. Silly Booth is donating all the photography and materials for this event, therefore every single cent goes to PALS, a non-profit organization that provides programs to help people through pet therapy. Help us support this great cause! If you were at The Bash, you would have heard us mention a show special. 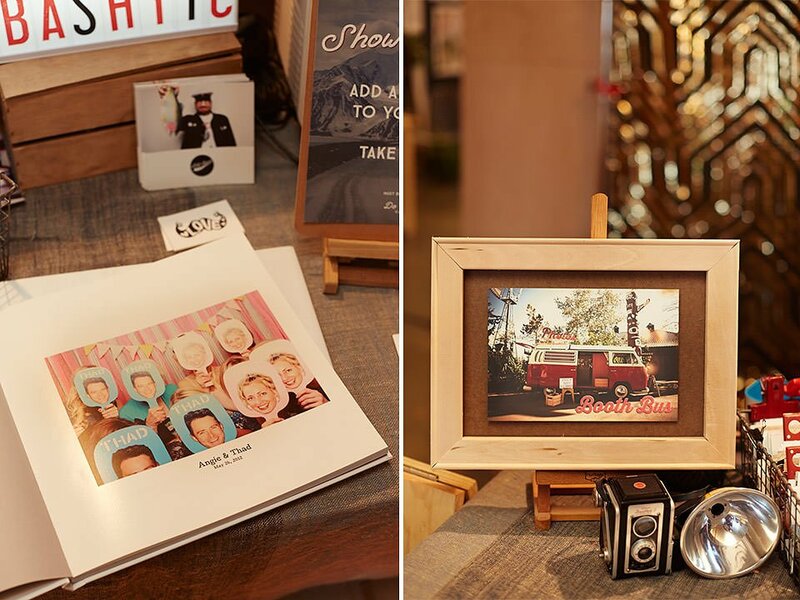 Book our wedding photo booth before the end of January and receive an extra hour for free! 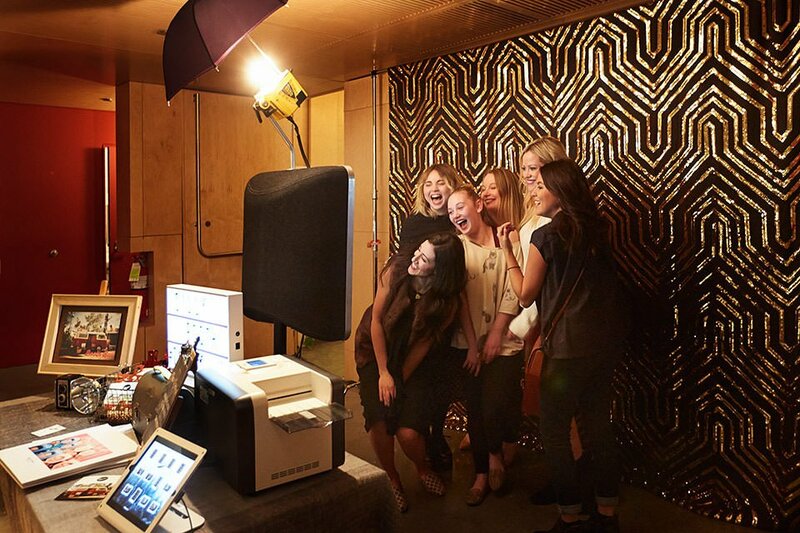 Our photo booths are booked for a minimum of three hours rental. The extra hour will bump the mayhem up to four hours! Do it now! Anyone can receive this deal even if you didn’t go to The Bash, but it’s for weddings only and cannot be combined with other deals. We are available for your wedding in Calgary, Vancouver, Banff, Lake Louise, Canmore and Whistler. Any questions? Email us!